All sports require flexibility, power, speed/agility, strength, and stamina. Our goal is to get players to excel in all these areas. Our Performance Enhancement Program will help each athlete improve their power and explosiveness for the movements needed on the field. 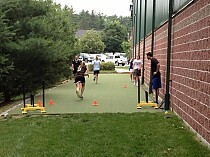 Every TOP Fitness training session is structured in an environment that is safe, competitive and fun. Power - appropriate plyometric progressions to improve lower body & upper body power for improved jumping and rotational speed. 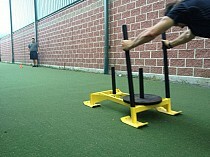 Strength - functional strength for upper body, lower body and core for improved performance in your sport and in life. 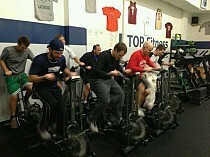 Conditioning - proper sport conditioning to improve work capacity.